About Us - Aspenhills Consulting, Inc.
Our managers all come from a general contractor and design firm background with decades of experience as enhanced Technology and Process Department Directors, Senior Vice Presidents in Preconstruction/Operations, as well as Principal Architects & Engineers. This wide range of hands-on experience in the profitable use of enhanced technologies and processes is what differentiates our services. We can work with your teams to accelerate the adoption of these valuable capabilities, and help standardize their use across your entire company. 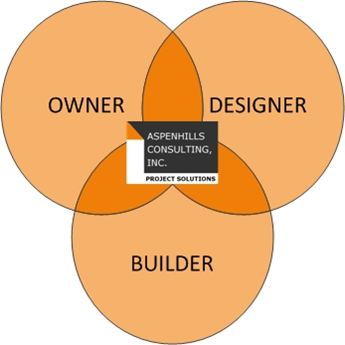 Aspenhills Consulting works with owners, designers and contractors to increase the efficiency of their operations and the quality of their deliverables. Through the use of advanced technology and process solutions, we enable companies and teams to work in an informed, collaborative, and proactive environment. Our experience, and continuous investigation of the fast-moving changes occurring around AEC related tools and processes makes us a leading expert in the industry. In addition, our ability to assemble a team of experts in varied disciplines, tailored to your individual needs, creates a skill base with world-class capabilities. We add value to every phase of your work by directing our deep knowledge of the industry, and insight of advanced solutions, to your company and project efforts. And since our unique service doesn't represent any one, specific software package, we are able to help you evaluate and implement solutions that span the full spectrum of available products. Aspenhills Consulting can provide a customized plan that offers the appropriate enhancements and changes necessary for you to reach your desired goals, and to differentiate your project or company from today’s standards. Our ability to operate as value solutions providers also allows us to join your project team as independent enablers. In this capacity, we can ensure that each company can benefit from the advanced tools and processes regardless of your prior experience, either independently or as part of a project team. By establishing an environment of collaboration, efficient data transfer, and proactive decision making, we enable projects and companies to capture the maximum value from this process. Aspenhills Consulting is committed to helping your company or project team achieve superior efficiency and value. Contact us for a discussion on the wide variety of unique solutions we can offer to you.